Sometimes you pass a piece of litter so rare & amazing that you cannot do your civic duty to Mother Earth. Sometimes you just can't pick it up & throw it away, no matter how responsible an earthly citizen you typically are. 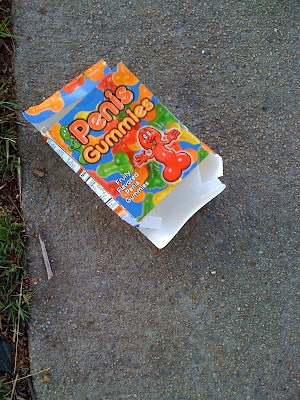 No, sometimes you just have to just leave it where it is, in the middle of the sidewalk on Connecticut Avenue, for the next passerby to find & enjoy & love & cherish. So I left it there. Because yeah, I'm a day-brightener like that.